Today I’ve begun the process of upgrading my Ubuntu installation of version 7.04 to version 7.10. To see my previous tutorial of getting Ubuntu installed on my IBM Thinkpad X41, see https://shaneosullivan.wordpress.com/2007/02/16/installing-ubuntu-edgy-on-a-thinkpad-x41-tablet/. This post lists whatever issues I found when upgrading, and my solutions to them. For the official instructions, see https://help.ubuntu.com/community/GutsyUpgrades. My first problem was caused by having links to third party software distribution sites. When running the “update-manager -d” command, I received an error, saying the dbus couldn’t run. This was caused by having third party software sources enabled that no longer existed, for whatever reason. Run the “update-manager -d” command again. Repeat this each time it gets stuck downloading files. I had to do this four times for it to work completely. Restart the machine, and log in. Click the “Graphics Card” tab. Compiz (the 3D graphics stuff) causes problems and refuses to work at all if I am using dual monitors. Still working on this one. As a Java developer, I often use the Eclipse development platform. 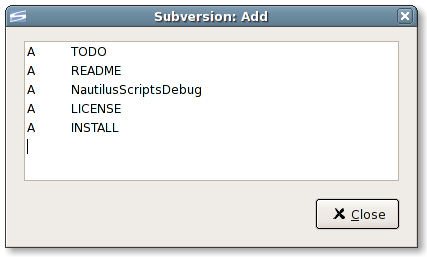 I include some non-standard plugins in the application, like plugins for Subversion support. However, when Ubuntu is upgraded to 7.10, the base Eclipse platform in upgraded, but not the non-standard plugins, which stops some of them from working. My laptop was running out of disk space after the install, as it downloaded quite a few packages. I found a very good blog post on how to clean up your Ubuntu install at http://www.ubuntugeek.com/cleaning-up-all-unnecessary-junk-files-in-ubuntu.html. Make sure to read comment #7 also, that alone saved me 1GB. I found that some things didn’t work that did work before, for example the stylus pen and the middle ‘scroller’ button of the mouse. If this happens, just reapply the settings I describe here, as the upgrade removed them. This solved the problems for me. In previous posts (here for the Dojo 0.4.3 version, here and here), I wrote how I wrote an image gallery for version 0.4.3 of the Dojo Ajax Toolkit, and how I was translating it for the latest version of the toolkit, version 1.0. Well, that work is now, finally, complete, and I have to say, I’m pretty damn happy with the results. The code is now part of the dojox.image project (dojox is the Dojo extensions project, for cool new code that may in the future make it into the core code base if enough people like/want it). If you’d like to just see the gallery in action, have a look at the Photos page on my personal website, or see the links at the bottom of the post, otherwise, read on! dojox.image.SlideShow – a widget that displays one image at a time, and can run a slideshow, changing the images every ‘x’ seconds. dojox.image.Gallery – A wrapper around the ThumbnailPicker, and SlideShow widgets. Both the ThumbnailPicker and Slideshow widgets can also be used on their own, and have no dependencies on each other. dojox.data.FlickrRestStore (demo) – query the Flickr photo sharing website for images. This is all done on the browser, with no need for any server-side redirects. This is another of my additions to the Dojo toolkit – I love Flickr, feel free to check out my photo stream here. I previously wrote another blog post on this data store here. dojox.data.PicasaStore (demo) – query Google’s Picasa image sharing website for images. As with the Flickr data store, this is done on the browser, with no need for server side support. and many more….. You can also write your own data store if you so desire, but the ones included in the toolkit should cover almost everything you might need. The Gallery on another website – example of using the widget hosted on AOL’s cross domain CDN network. Download the latest nightly archive from Dojo. Check out the code from the Subversion repository. Wait for Dojo 1.0 to come out (end of Oct 2007) and download the full release from the main Dojo website. As always, any and all feedback is welcome. Also, a big thanks to Peter Higgins, owner of the dojox.image project, and Jared Jurkiewicz, owner of the dojo.data project, for all their helpful ideas, and for reviewing/committing my code to the Dojo project. The previously announced Dojo Grid has landed in source control, and is in the nightly builds. It has all sorts of fancy functionality, like support for lazy loading huge data sets, individual styling of rows and columns, inline editing etc. I work on a number of open source projects, and many of them use the Subversion version control system to manage their code. Before my switch from Windows XP to Ubuntu Linux (which I am still ecstatically happy with btw), I became a big fan of TortoiseSVN, an extremely useful Subversion client that integrates itself directly into Windows Explorer. 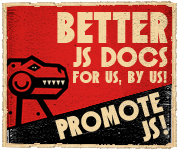 TortoiseSVN is simple to use, very intuitive, and does everything I need from it. You simply right click on a folder you want to store your checked out files in, give it the URL of the Subversion server, and it checks out the code, updates it, checks it back in (if you have permission), performs file diffs ….. basically everything you need to do is integrated right in with your file browser. So, I miss this in Ubuntu, as TortoiseSVN is Windows only. However, I recently found a replacement, which integrates nicely with Nautilus, the Ubuntu file browser. While it is not as slick as TortoiseSVN, it works in a very similar way. You right click on a folder, and have a selection of SVN operations you can perform. One thing that is missing from this is the display of icons in the file browser (Nautilus) to inform you of the state of a file – checked out, modified, not added to source control etc. Another person has developed a solution to this, which unfortunately I have not, yet, been able to get working, but perhaps you will have more luck. See http://www.kryogenix.org/days/2006/09/12/extremely-noddy-tortoisesvn-for-the-gnome-desktop for details on this.